Now you have your security alarm to deter criminals and your renter's insurance just in case. The next thing we'll talk about is your computer. Computers are usually one of the worst things that could be stolen. Not necessarily because of their monetary value, but because of all the info they hold. Your music library, your vacation pictures, your private info, work, etc., are all stored on your computer. If your laptop's stolen and you have to buy a new one, it usually takes a few weeks before you get the new computer just how you like it with all your programs, preferences, and folders. It's even worse if you don't have a backup of your old laptop's info. 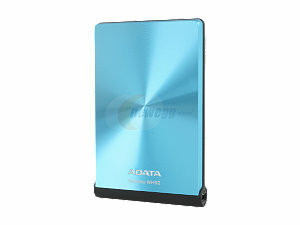 Thankfully, you can easily backup your computer with an external hard drive which is easy to use and affordable...check out NewEgg.com for prices starting at $30 for 80gb of storage. Some external drives come with their own backup software that syncs to your computer, or you can go to your computer's backup center and do everything from there. You can choose which folders/files you want to update and even schedule automatic updates so that, for example, every Sunday at 3am your computer will sync up to your external drive. While external drives are handy for backing up your new computer in the case of a theft, they won't help much if there's a flood or fire and they're destroyed right along with your computer. Plus you have the added pain of having to remember to connect the drive to back everything up, something I'm horrible at! That's why online backup services are perfect. There are both free and paid online options that take the hassle out of keeping your info protected. Once you sign up, your info is synced to a secure server where it's stored until you need to access it. Most online backup services have options that allow you to share files with others (good for work situations) or even sync multiple computers. There are tons more features available and I'm still figuring this all out myself so you should check out reviews from sites like MacWorld.com or PCMag.com. If you already use an online service leave a comment below letting us know which one you recommend. What's your favorite backup option? Great Tip. For online backup I would recommend Mozy or Carbonite. You really can't go wrong with either one.